Other than purchasing these semester passes, one can purchase the non-unit rates of $15/day on campus or $9/day at Bayside, or purchase a monthly pass at the rates for non-unit members here, including a reserved space. We rejected this offer and now enter mediation, beginning this Friday, November 9 (for a Power Point primer on the parking bargaining process and for previous parking bargaining updates see here). As many of you know, the FSU had offered many other alternatives and rates, as we discussed with you at our last bargaining update. 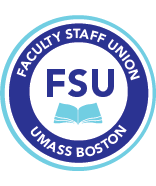 We will discuss in more detail where bargaining stands and possible directions and would love to hear from you at our bargaining update this Wednesday, November 7, 12 noon, ISC, 2nd floor, room 2003. Join us for pizza. Help us organize to fight this before the administration imposes it on us. Look for a parking organizing email tomorrow. Bring your energy and ideas.